Meditation has been around for thousands of years. While the exact date is unknown, archaeologists and scholars agree that the practice has been around for at least 5,000 years. The earliest documented teachings of meditation were sourced from ancient India, approximately 1500 BCE. This practice has stood the test of time, and has proven to be beneficial to our health in a number of ways. Sounds great, right? We all could benefit from at least one of these things. If meditation is new to you, don’t worry, it’s easy and costs nothing to start. Breathe gently, not rushed. Let your breath flow naturally. Hold your palms open. Do not clench your hands. Release tension in your jaw and shoulders, breathe into those spaces and let them drop. Everyone is different, but try keeping your eyes closed for fewer distractions. Remove all your thoughts, your worry, your to-do lists. Let go of today’s troubles and problems. When thoughts come, welcome them, and let them pass. Do not punish yourself for having thoughts. Come back to your breath. Focus on the feeling of your belly extending with each healing breath. Scan your body for pain, does it hurt anywhere? Breathe deeply into the pain and accept that it is there. Let go of the pain. Come back to your breath, again. In and out. Continue breathing deeply and calmly for 5-10 minutes. Set a gentle timer to end your time. Open your eyes, stretch, breathe. Continue on your day more peacefully and aware. Other ways to improve your meditation practice could be finding a comfortable, favorite cushion to sit on. Consider building yourself an altar. This does not need to be spiritually or religiously charged, unless you want it to be. Your altar could contain seashells, candles, and mementos that bring you peace. 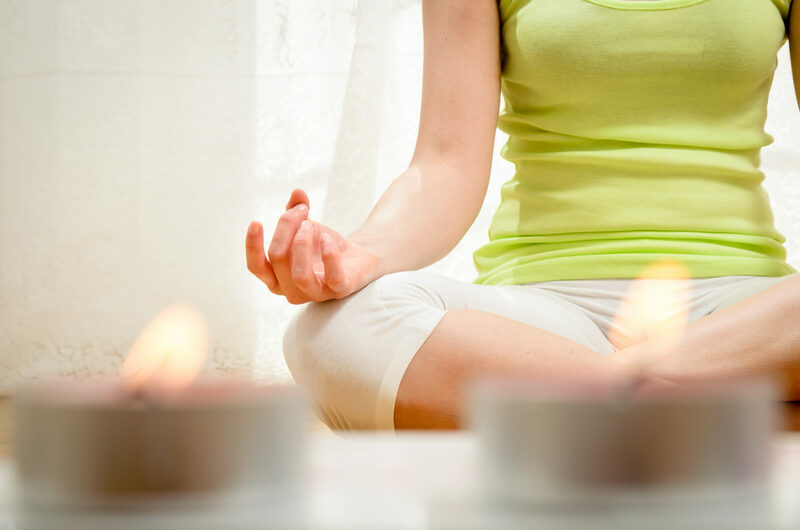 Light candles, shut your doors and blinds, start quiet and gentle music, and begin your practice. Try meditating early in the morning, before the stresses of the day begin. You’ll find you walk with more confidence and a calmer spirit. Bring your practice with you on the train, in the car, at work, and back home again. Meditation is open and free and within yourself. Practice it daily.